Creeping privatization threatens our standard of living as we age, but Canadians can fight back by working to protect all forms of universal, public health care, they said. Delegates later approved a resolution calling on the federal government to implement a national home-care program with standards and provisions of core services comparable from province to province. 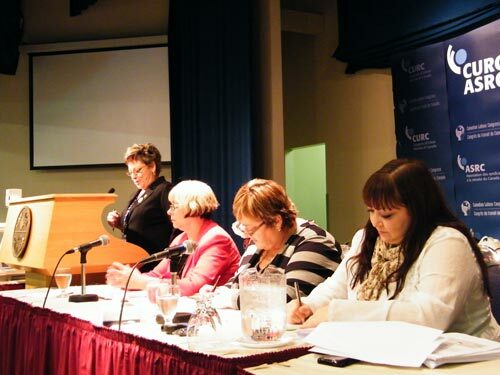 Panelists Lois Wales, president of the Manitoba Government Employees Union, Danielle Legault, international vice-president for Quebec of the Service Employees International Union and Natalie Mehra, director of the Ontario Health Coalition, presented an overview of home care in their respective provinces and discussed ways to ensure seniors can stay in their homes as they get older. 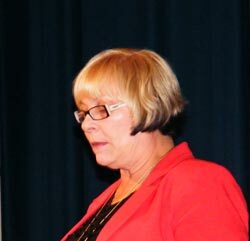 The panel was chaired by Cecile Casista, president of the New Brunswick Federation of Union Retirees, who co-ordinated the production of a report on the home-care services available in each province. The report formed the basis of CURC’s home-care policy paper. 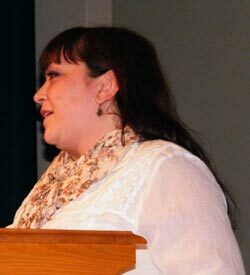 Manitoba set up the first home-care system in Canada, but had to fight a “full frontal attack” on the system by the Filmon Tory government in the mid-1990s, said Wales. “Vocal and organized public support was crucial to our fight” against the cutbacks, which included a landmark strike by home-care workers in 1996. The result was “a total and complete victory for the public system,” she said. The Tories abandoned their privatization drive and the strike victory resulted in a stable workforce and better care for seniors at home. Legault pointed out that while demand for home care for seniors is quickly rising in Quebec as the population ages, government cutbacks have meant that funding is totally inadequate. 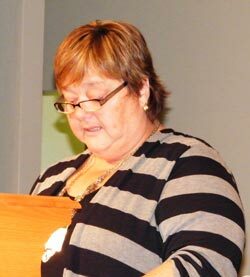 Funds meant for home care are often redirected to cover deficits in other services, she said. “The private sector is not a solution.” She said. “People need services according to their needs and not their pocket books.” She urged Canadians to get involved in the campaigns by the Canadian Labour Congress and provincial federations of labour to defend medicare and public services. Mehra warned that “our health care system is being stolen from under us by creeping privatization” which gained momentum under the Harris government, with its tax cuts for the rich and service cuts for the other 99% of the population. Big companies have replaced charitable organizations like the Red Cross and Victorian Order of Nurses in delivering home care because they have the resources to hire lobbyists and take an initial loss to build their monopolies in the sector, she warned. In cutting hospitals, Harris promised to provide services in the community, but the services never materialized. Instead, with its so-called Local Health Integrated Networks and Community Care Access Centres, the government has built four layers of bureaucracy before one dollar ever reaches the front line workers. “The time for competition between those who fight for hospital care and those who fight for home care is over,” she said. All Ontarians must unite to fight for the Canada Health Act, existing hospital services and care in the community. A lively discussion after the presentation allowed members of the audience to report on home care problems in their own provinces. Watch this web space for video and audio excerpts from the panel discussion and further developments in the debate on home care.